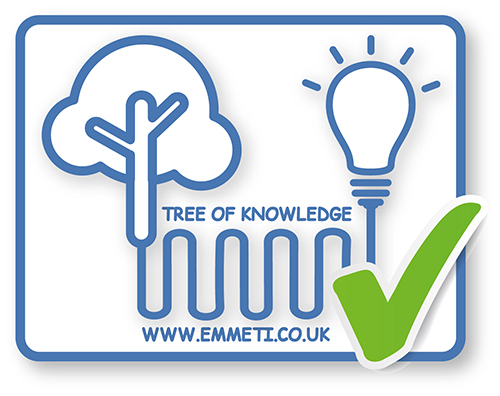 Emmeti’s new TM3-R is a control group for use with underfloor heating manifolds (T2 Topway). 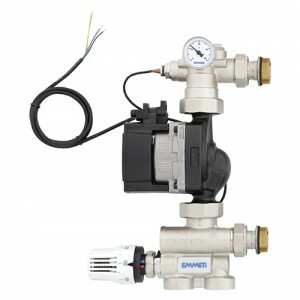 The mixing valve is adjustable between 20°- 65°C which complies with the requirement of BS1264-4 2009. The TM3-R has an additional probe pocket for an optional over temperature device, a throttle to increase the Kv of the mixing valve for larger systems, and a built in non-return valve above the circulation pump to prevent back filling during the system fill which also reduces water loss if the circulation pump needs to be removed for maintenance. A new ErP 2015 compliant Grundfos UPM3 Auto 7m circulation pump is fitted as standard pump includes 3 control modes and double de-blocking system. For more information please view the PDFs or contact the office on 01993 824900.